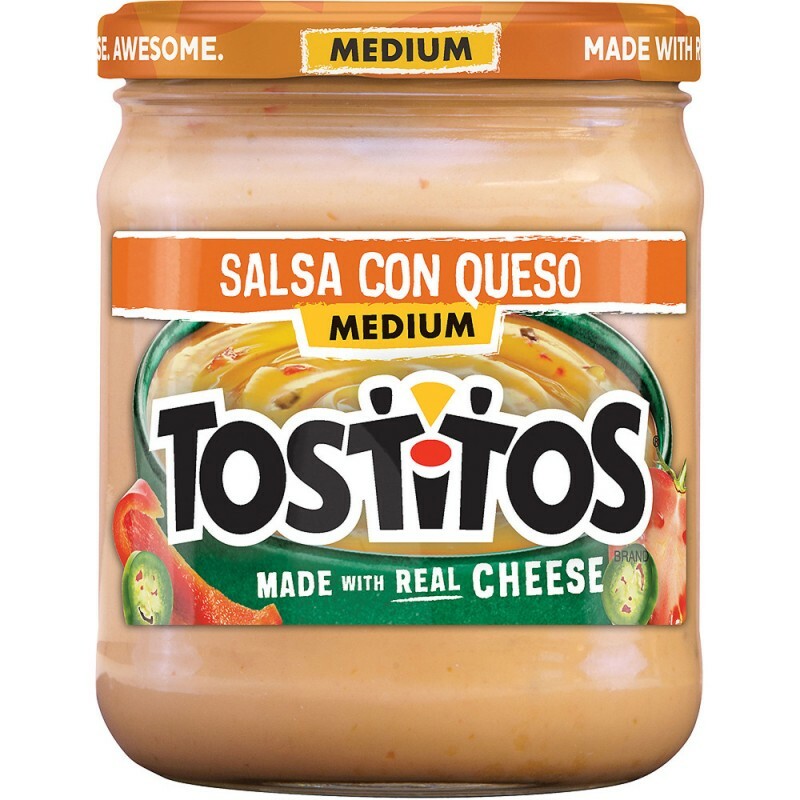 Made with real Monterey Jack cheese, TOSTITOS®Salsa Con Queso blends ripe tomatoes, chopped jalapeños and mild red bell peppers for a medium, creamy dip that always gets the party started. 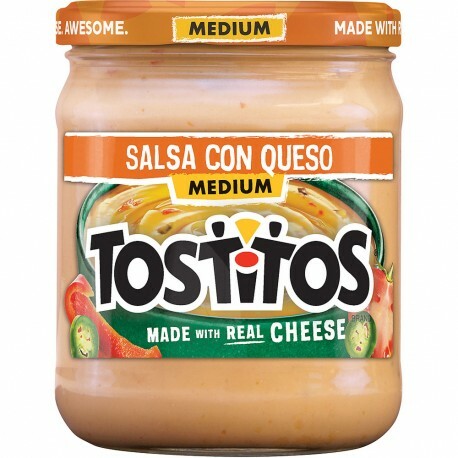 Delicious, crowd pleasing and convenient it can't get much better than Frito-Lay chips and dips! From entertaining friends to relaxing at home and everything in between, our perfectly blended salsas and great-tasting dips are always a hit. Mix and match them to discover your own perfect pairing! Instructions: Heating Instructions:Transfer contents of jar to a microwavable container. Microwave for 30 secs. Stir. Repeat until desired temperature is reached. Use caution to avoid burns. 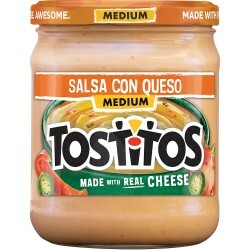 Ingredients: Water, Skim Milk, Monterey Jack Cheese (Milk, Cheese Cultures, Salt, Enzymes), Vegetable Oil (Corn, Sunflower and/or Canola Oil), Modified Corn Starch, Diced Tomatoes In Tomato Juice, Jalapeno Peppers, Chile Peppers, Red Bell Peppers, Maltodextrin (Made From Corn), and 2% or Less of the Following: Salt, Cheddar Cheese (Milk, Cheese Cultures, Salt, Enzymes), Natural Flavors (Including Natural Cheddar Flavor), Sodium Hexametaphosphate, Monosodium Glutamate, DATEM, Sodium Phosphate, Spice, and Artificial Color (Yellow 5, Yellow 6).